Stabilising tablet market reports modest growth for the first time since 2014. Sales of tablet devices in Australia increased four per cent year-on-year to 1.59 million units in the first half of 2016, with convertible 2-in-1 devices setting the pace. Latest findings from analyst firm Telsyte shows the market for tablets has stablised across the country, while recording modest growth for the first time (half-on-half) since 2014. 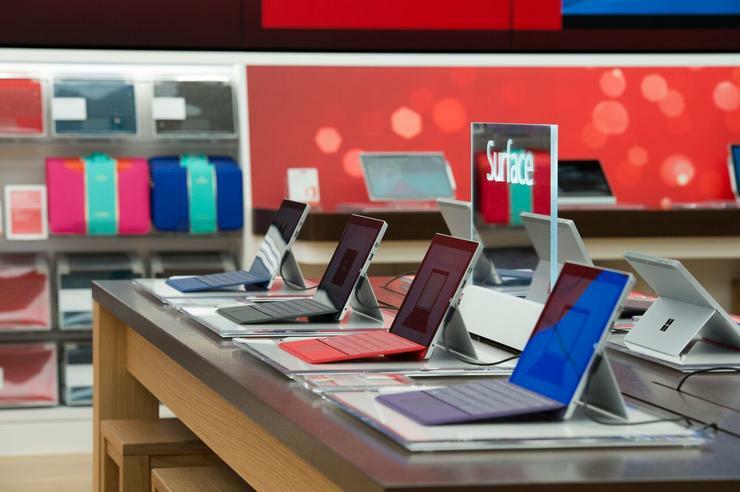 Locally, higher end convertible tablet-notebook devices - such as the Apple iPad Pro, Microsoft Surface tablets and the Samsung Galaxy TabPro S - have seen growing adoption nationwide, halting the decline in unit sales after the market took a battering following a collapse in sub-premium devices in 2014. In Australia, the top four vendors during the first half of 2016 were Apple, Samsung, Microsoft and Lenovo - which collectively sold 80 per cent of units. Looking ahead, the market is on track to record sales of 3.21 million units by the end of the year, as consumers start to replace ageing tablets and computers with newer, more functional touch screen devices. “The decline in tablet sales that began in 2014 has stabilised and the market seems to have turned a corner,” Telsyte managing director, Foad Fadaghi, said. Fadaghi said revenue from the market is the highest it’s been since the slump in H1 2014, with revenues up 33 per cent on the same period as 2015, as the market starts to embrace more expensive 2-in-1 devices rather than lower-end, slate-only formats. Despite a fall in market share, Fadaghi believes Apple will retain its market leadership in the next two years as consumers replace ageing iPads. “Apple continues to enjoy a repeat purchase intention rate of 80 per cent,” Fadaghi said. “Many of the top selling iPad models from a few years ago are now unsupported, such as the third generation iPad (released in March 2012) and the iPad 2 (released in March 2011). Telsyte end-user research reports that one in five tablet users have already tried using tablets with a keyboard - incorporating the 2-in-1 model - including buying an aftermarket keyboard or combination case/keyboard. Of these, nearly three quarters continue using a keyboard with their tablet regularly. In addition, the rise of 2-in-1s is expected to also drive demand for other tablet accessories, such as protective covers, styluses, port extensions and adapters. One in five (21 per cent) tablets sold during the first half of the year were Windows-based devices, indicating a growing trend which has been driven by Microsoft-branded tablets, with Redmond retaining leadership in the Windows 2-in-1 category. Similarly, over 20 per cent of devices sold had screens above 10-inches, indicating a shift to using tablet devices for more than just portable content consumption. “Sales of Windows-based tablets should exceed Android-based unit sales within the next 18 months,” Fadaghi added. Telsyte also notes that Android tablet sales might also be impacted by the Samsung Note 7 recall and eventual withdrawal, despite the Note 7 not being in the tablet category. Delving deeper, the research includes estimates of computer purchase intentions, as the tablet and computer market increasingly merge. Findings show that a PC replacement cycle is due with more than 700 thousand PCs and Macs (without touchscreens) are expected to be sold in the second half of 2016 with around 12 per cent of these units being Apple computers. Currently, 15.1 million Australians now have access to a tablet device, representing almost two thirds of people across all age groups.